The Mask Slot Review | Jim Carrey's character is back on Online Casinos! Back in the nineties, Jim Carrey exploded into the movie industry. Everything was about him and his popularity rose tremendously at the time. One of his most popular movies, when he was at the peak of popularity, was “The Mask”. Now, even if you weren’t born before the nineties, chances are that you know this movie. It’s a classic in the field of comedy. Jim Carrey has really managed to outdo himself in this move. That being said, there is now a slot game of the same time made by NextGen Gaming. You can easily play it online. This article will share more information on this game with you. By now you already know about the theme. The graphics are much like those of the movie. However, we must say that we aren’t quite impressed by the overall visual look of the game. Even though there are many flashy colors all around, it still feels kind of bland. The graphic designers could have done a much better work when it comes to the graphics. We’re not saying that they are bad per se. However, we say that with a movie of the caliber of “The Mask”, the graphics designers had to do a better job. That being said, you will still get the feeling that you’re playing the movie, so to speak. The atmosphere and zaniness of the movie are still there. You can almost (but not quite) imagine that you’re there. There are monologues made by Jim Carrey himself that will come around every so often while you play. There are even movie clips of the movie itself. 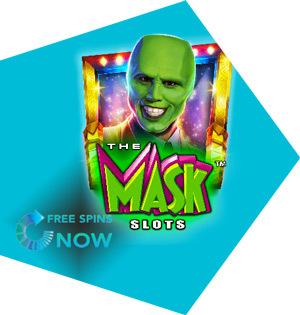 “The Mask” slot game stays faithful to the movie and you’ll be able to experience nostalgia while playing it. But the slots aren’t about the graphics and imagery. They are about the gameplay – they should be fun, first and foremost. What can you expect out of “The Mask” slot game? Well, there are indeed some exciting bonuses and special features. But the basics are rather simple. There are various symbols and 20 fixed pay lines that pay both ways. The return to player rate (RTP) is set at 95.508%. The symbols of the game are characters and items from the movie. You will be able to find the main characters of the movie – Jim Carrey’s and Cameron Diaz’s. There’s also Milo the dog. There are the classic ten to ace symbols as well. The game shines with the special features. If you hit three or more scatters, you will get a bonus game with 10-25 bonus spins. Every once in a while, the Mask himself will come into the game. He will spin around and turn various symbols into wilds. Also, there is a feature in which Milo will give the mask to various symbols on the pay lines. If he happens to give the mask to Stan, then the symbol will turn into a wild. The Alarm Block feature is also rather unique. An alarm clock will come on the screen and a hammer will destroy it. In the process of destruction, it will leave a 2×2 block of wilds. If the graphics design team did a more proper job – then this game could have been a classic. But it’s still a fun experience that manages to catch just enough of the spirit of the movie. The music is great and so are the sound effects. We hope you will enjoy playing it.